Learning new skills is the most beneficial bucket list item you can accomplish at any time of the year. By learning something new every day, you can reach new career heights and explore all the possibilities out there for you. When you acquire knowledge and learn to do things that are new to you, it keeps your brain sharp and you get a deeper sense of happiness. No matter what’s on your list, now is the best time to expand the skill set you already have. Give self-improvement a fresh new meaning this year. The more skills you have, the more opportunities you can unlock whether for employment or for your personal dreams. 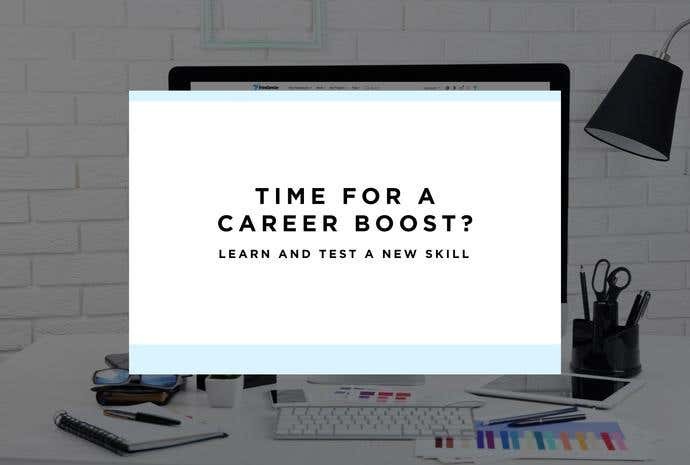 At Freelancer.com, we have the Skills Lab where you can take exams to either brush up on your existing skills or test how much you know of a skill you recently learned about. The results are shown on your profile page. Employers looking at your profile will see the exams you’ve taken and the ratings you earned, so take them seriously. We’re listing down four job categories and the skill tests related to each of them. Read and learn about these skills and if you think you’re ready to test your knowledge, take the exam. Most probably, you want to learn new stuff to try a career in a different field. Or perhaps you simply want to improve yourself because, after all, learning is a lifetime thing. Are you in a hurry to learn something new? Studies show that the brain picks up a new skill by doing distributed practice. Spending 15 or 30 mins a day is better than practicing for longer hours. It’s not as if you’d learn a skill today and shift to a different career tomorrow. It will take some time to become knowledgeable in a new skill and some more time to become an expert in it. When you’re equipped with a certain level of mastery, go and look for a project that requires your new skill and do your best to complete it.